Josh Knight has been promoted to AD at Baldwin Park. 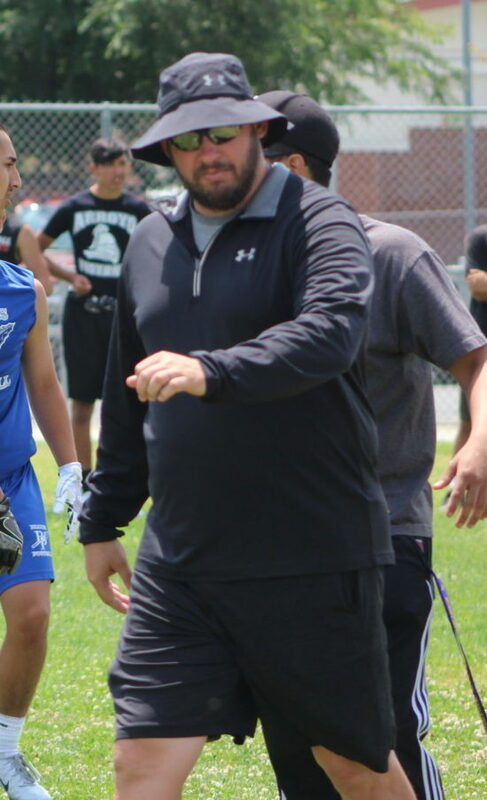 (Baldwin Park) – Josh Knight, who was named the head coach at Baldwin Park earlier this year, is now the Athletic Director at the school he confirmed Saturday. Knight will serve as AD only and an interim head coach will be announced this week as soon as it is approved by the board. Knight who is an alumni of Baldwin Park is looking forward to the opportunity. Knight, a former assistant at Arroyo and Buena Park, was advised of the possible move to AD when he accepted the head coaching position. The Braves open up at home this Friday night against El Monte. 18 Comments to "Knight Goes from HC to AD at BP"
I doubt Ibis will be named. Feliepe Aguliar formerly of Los Altos will be the guy. Football is football. Your record is what you are. Ibis had multiple chances to be a head coach and crashed and burned. Ibis might be a good position coach and even a good coordinator but he has proved he is not fit to be a good head coach. The proof is there. So you’re complaining about Aguilar getting another opportunity. Don’t compare what happened at BHS to BP. Yes he had talent, but when you have assistant coaches running your kids off and then those same coaches cry like little la-las when they checked about approaching kids right, that’s a shame. Unfortunately, he was done wrong at BHS. Good ole boy club. Get your sources right before you run your trap. So who’s the new HC? If Admin was smart, which they rarely are, they would have let this guy coach. Is he even a teacher there? Is Aguilar a teacher there? BP has been a mess for years. Also can’t believe they let the baseball coach walk away. Good athletes don’t even bother going to BP, can you blame them? Focused on sports, but he was alumni of BP and takes over as AD, the head baseball coach who was also alumni quits because of lack of support and the district decided to pass on Burciaga as principal who grew up in BP, graduated from BP, was a prominent athlete there and great scholar there. now he is the principal at Northview after leaving from South Hills. Oh and come to Find our the principal hired is a close friend of a board member. Yeah sounds like BP is on the right track, smh. Some things never change, SInce Heggins left it’s been a mess there, oh did I mention they also passed on the Berumen who is the DC at south hills as the head coach, who also is BP alumni a few years ago. And I saw the scrimmage Friday, the staff is a bunch of Junior all American coaches who have no clue. In team sports, players are always told that there is no “I” in team, that it’s important to subordinate personal desires to the needs of the group. YET….we have this guy called the coach, who is there purely to ram his personal agenda down everyone’s throat. The confusion with BP’s program at this moment gives us the unique chance to try something I’ve always wanted to see: going without any coaches at all. The athletic director could handles the issues of fund-raising, equipment and scheduling, but the issues of when and what to practice would be left up to the players themselves. What I believe we’d see is the ascendance of the natural leaders within any gathering, and THOSE KIDS would, of necessity, become the standard of behavior and performance for the team. Again, this year’s BP group has nothing to lose, so this is worth a try. Proud football program you mean Lawrence Phillips??? I hope they right the ship soon because they were dismantled by a below average Whittier team yesterday and at times let Rosemead get the best of them. C’mon man, don’t tell me they are going to let Ibis be the head coach. He had all that talent at Bonita and totally underachieved so much so that they fired him. Half the games he coached last year it was running clock starting the third quarter. BP just set football back four years. Two years than they fire him and two years to build a program. I remember when BP had a proud football program, now we are happy just to beat pathetic Sierra Vista. For the interested parties which surround Braves football, this is earth-shattering. For the rest of us, it’s about five minutes of distraction. It matters far more what happens at Workman this season, because they’ve got a real coach. I don’t know about being in 2 pairs of good hands. Aguilar is like 25-40 as a head coach and Knight a real good assistant hasn’t been a head coach. But knight does seem like a real deal coach Aguilar is a lifetime assistant now. I asked him on twitter yesterday if he accepted the AD job and he told me yes. I also asked him if he was going to stay HC or turn over the reins. He didn’t reply. I figured he was not at liberty to say. My guess is the old Bonita coach takes over. Less headaches, less hair loss, and he still gets to oversee BP. Career wise the promotion is a no-brainer, and with still being able to provide input for Football it is the best of both worlds. Plus, with an assistant taking over they won’t miss a beat. BP was in good hands…now they just are in 2 pair of good hands. Only a brain dead place like Baldwin Park would pull its HC off the sideline at the start of a football season…If he’s willing to do both, then he should do both and finish the season before looking for a replacement… Some people in education are so dumb! From T. Peterson: He was willing to but the admin wanted him to focus on AD only. An HC familiar with the program will be named this week pending board approval.